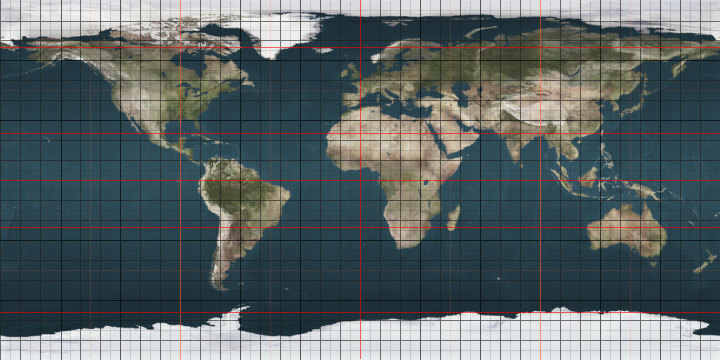 The lowest latitude where white nights can be observed is approximately on this parallel. The 60th parallel north in Canada, marking the southern borders of Yukon, Northwest Territories, and the Nunavut mainland. In Canada, the 60th parallel constitutes the mainland boundary between the northern territories of Yukon, Northwest Territories, and Nunavut to the north, and the western provinces of British Columbia, Alberta, Saskatchewan, and Manitoba to the south. Accordingly, "north of 60" is an expression often used for the territories, although parts of Nunavut (the islands in Hudson Bay and James Bay) are located south of the 60th parallel, and parts of Quebec and Newfoundland and Labrador are located north, to the east of Hudson Bay. A 1990s TV show on CBC about life in the Northwest Territories was called North of 60. Canada's only four corners are located at the intersection of the 60th parallel and the 102nd meridian west, between the Northwest Territories, Nunavut, Saskatchewan, and Manitoba. However, this is not a true quadripoint as the measurement of the Saskatchewan/Manitoba border in the 1880s placed it approximately 400 metres (440 yd) west of the 102nd meridian, which defines part of the Northwest Territories/Nunavut border. ^ NASA. "Earth Fact Sheet". Retrieved April 11, 2017. ^ "Limits of Oceans and Seas, 3rd edition" (PDF). International Hydrographic Organization. 1953. Archived (PDF) from the original on 8 October 2011. Retrieved 25 October 2016. ^ Marquardt, Ole. " Change and Continuity in Denmark's Greenland Policy" in The Oldenburg Monarchy: An Underestimated Empire?. Verlag Ludwig (Kiel), 2006.